Nathan Pretty remains one of the most universally-liked figures to ever compete in the Virgin Australia Supercars Championship, particularly with fans on the Holden side of the fence. 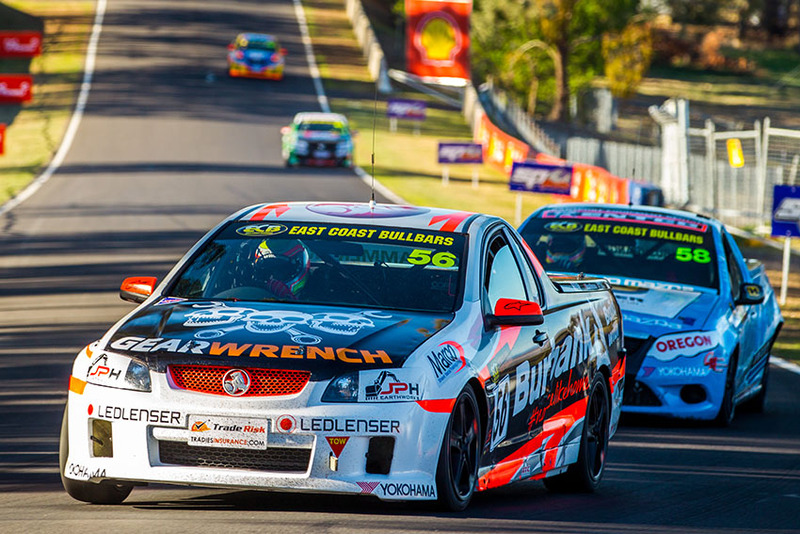 The Wodonga lad became a ‘go-to’ man for Holden teams for the annual Supercars endurance races, particularly at Bathurst where he retains a sparkling record of consistent achievement. 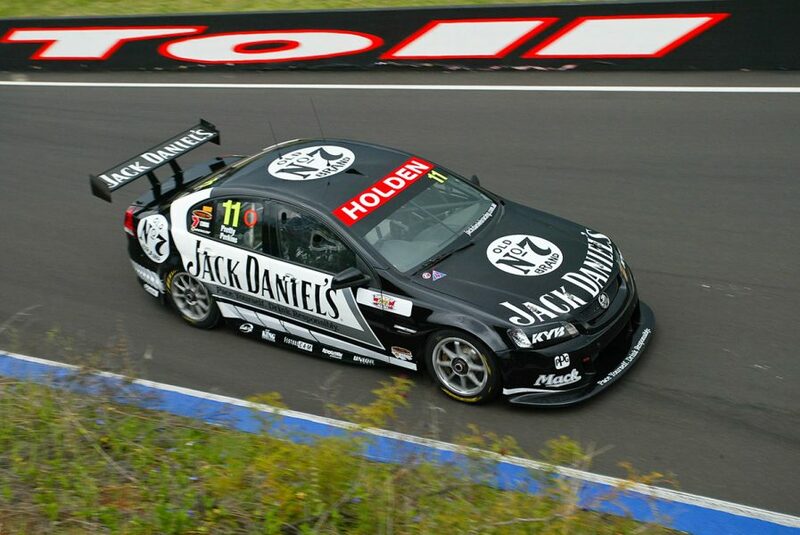 Competing in 14 Bathurst 1000s between 1998 and 2011, he finished 12 times with six top 10 results. He also will forever sit in the record books as part of the driving crew that claimed victory in the inaugural (and only one of two held) Bathurst 24 Hour aboard the seven-litre Monaro before going on to become its full-time pilot in Nations Cup competition. Despite never holding down a full-time Supercars seat, Pretty drove for a range of big teams including the Holden Racing Team (and its Young Lions off-shoot), Kmart Racing, Garry Rogers Motorsport, PWR Racing, Perkins Engineering and Kelly Racing. While Pretty’s last Supercars appearance came at Bathurst in 2011 in a Lucas Dumbrell Motorsport Commodore, his career really got started on the high banks of the Calder Park Thunderdome. More recently, he was a regular in the V8 Utes Series, while Pretty also retains close links to the Australian motorsport scene through connections gained over three decades in the sport. I’ve started my own business. My wife was getting stuck into me about doing this and that around the house and she just was going to get a bloke to do it. I was saying ‘don’t worry, I am the bloke, I’ll do anything and fix anything’ and as it turned out, I’ve started a business called ‘Just Get The Bloke’, a handyman-type thing. I’m also doing security camera installation work. I like using my hands and building stuff. I’m also still doing some driver training work too. People who come up to you and they say they’ve been driving for 50 years on the road but thank you for the day and tell you that they learnt so much from you to make them a better and safer driver; that’s a genuinely nice feeling. When I made my last Supercar start in 2011 I didn’t know that would be it. I probably should have chased a drive harder. 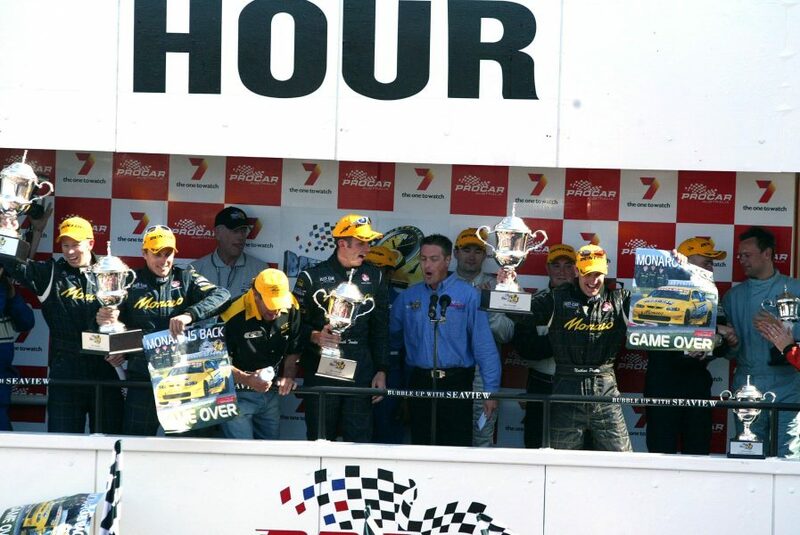 I still had the fight in me then and now and what I consider a very good Bathurst finishing record. I wasn’t the fastest co-driver but I did the right job I needed to do. I still enjoy my racing albeit last year was the first time in 27 years I haven’t raced anything at all, so that was frustrating. You’re only as good as your last race – and that was a win in the Ute! I do miss the competitive stuff; I might get back into the jet boats. How did your racing career get going initially, as a young bloke back in Wodonga? We went down a different avenue out of karts and went down the AUSCAR route; it was purely a money thing. Everyone I was racing against in karts at the time all went to Formula Ford and we just didn’t have the coin to do it so we went tin-top racing around the Thunderdome in a VK Commodore Sportsman (a class for ex AUSCARs). Then we bought a crashed AUSCAR to move into AUSCAR in the early 1990s. I was 18 when I started in the Sportsman. It was my family and mates helping me. Brad and Kim [Jones] were local and they were already doing AUSCAR and they helped us a lot, they showed us the ins and outs. 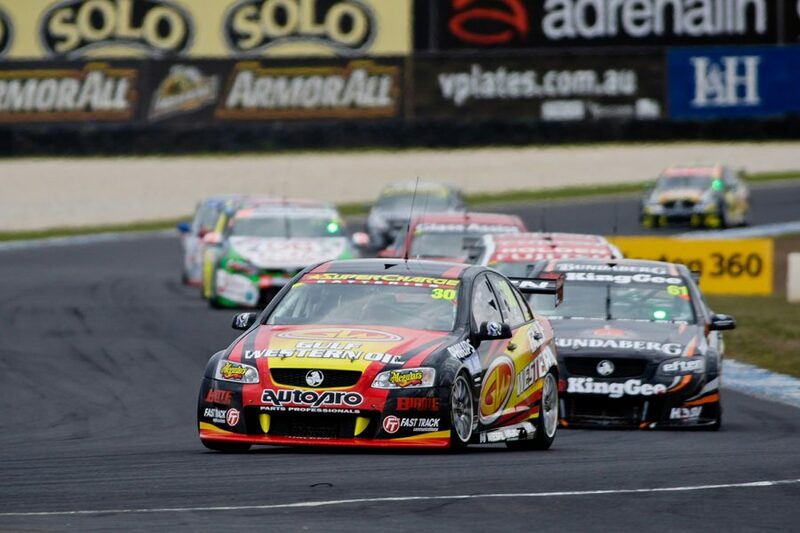 AUSCAR racing was struggling and we had some good sponsors at the time and they wanted to be in Supercars so we went and bought an ex-Perkins car off [Alf] Barbagallo. It had a six-speed Holinger gearbox and a Chevrolet engine and we ran in the privateer class. We had one gearbox and just one engine too. With those H-pattern gearboxes I never buzzed (over-revved) it, I was too scared of damaging it and couldn’t afford it fix it! At Winton in 1999 (main photo) we used the old AUSCAR mentality of having a spotter (to alert the driver to upcoming incidents) and it was my sister Nicole doing it that weekend. She got on the radio to tell me there was oil down in the sweeper. I started 24th and a lot of them fired off the road, so I crawled around and passed about 15 cars and finished seventh! As a privateer at the time, that was unheard of! So for the next race I started on the same row as [Mark] Skaife but on the jump the old girl decided she just didn’t want to start that far up the front and snapped an axle! So it was a massive reality check – back down the back! It put my name out there a little bit. 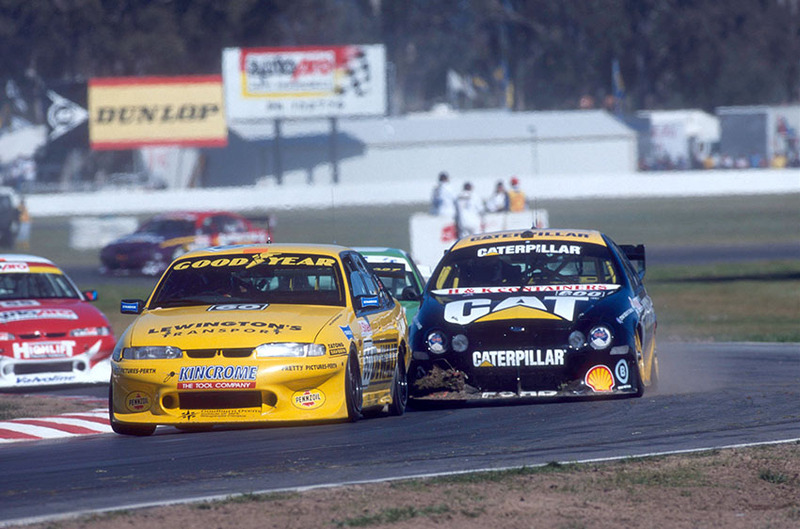 We ran out of money so we parked the car up and Jeff Grech (then HRT team manager) rang me one afternoon. At the time I was baking bread at Sunicrust, driving taxis and pouring concrete as a labourer. I had given up on the racing thing and was just working to pay off the bills we’d had left from our own racing. I thought it was a mate taking the mickey out of me but he offered me a test of one of the HRT cars. It wasn’t going to lead to anything, but as it turned out, it went really well. I was used to driving around Winton with no power steering in my car. But then driving a factory car around there I just knew I went OK. They asked some questions and I gave some feedback. As it turned out, I had a call again to say there may be a seat in the Young Lions alongside Todd and they wanted to talk to me, so I went up to the Winton round in 2000. I went there with Dad and I remember him sitting with me in the car talking about what we were going to do to try and come up with the funding to make it happen. As it turned out, Jeff sat me down over dinner and said he’d pay me $2,500 a race for the enduros. For us, it was a realistic $60,000 to $80,000 turnaround. To this day it’s one of the moments I best remember going back to Dad and telling him and he cried. He was waiting in the car for me; he waited the whole dinner in the car! 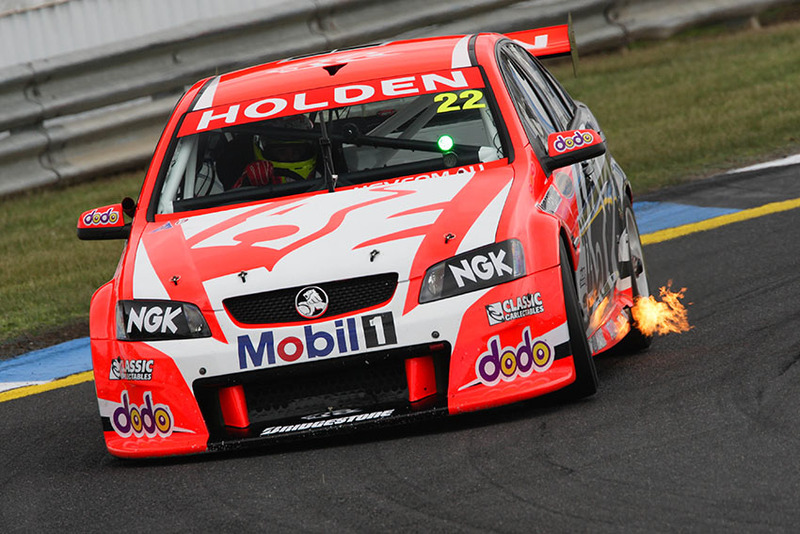 That started a stint of over a decade with Holden teams driving in their family in the endurance races. 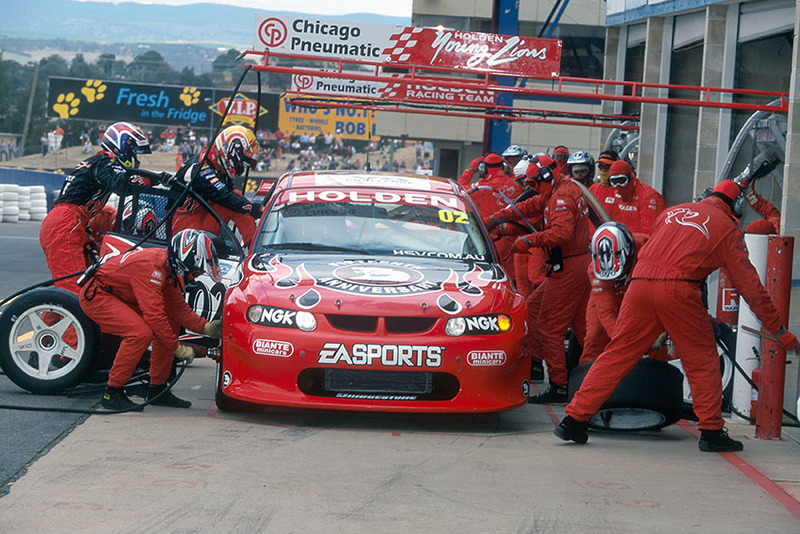 To this day, apart from jet boat racing, I haven’t really raced anything other than a Holden. Through it all you never got a full-time opportunity in the main championship. Why so? I had an opportunity with Tasman at the end of 2005 (Pretty tested alongside Luke Youlden and eventual team signing Andrew Jones). The times were fine, but I have my own thoughts on how that all panned out anyway and that it was never going to be Lukey or I to get that drive. In the AUSCAR and early Supercar days, if I bent it I had to fix it. It was ‘smell of the oily rag’ stuff. So I virtually taught myself how to panel beat, bogging, sanding and painting I would do myself. I think because I held that mentality in a Supercar and I knew how hard the guys on the crew worked, that affected how I drove. My mentality was to keep a couple of tenths up your sleeve. Don’t put it all on the table for the sake of binning it. I’d always drive within myself and not to the point where if I had let it all hang out and shown all my cards, I would have probably binned a lot more cars but I could have had a full-time drive from showing the speed. I was happy being that strong enduro guy they could rely on. I was able to do a strong job and hand the car back to the main driver. I only had two DNFs at Bathurst and one of them was in our car when the alternator let go (1999) and then in 2003 driving for GRM when I came across debris all over the road at the top of the Mountain and some crashed cars and had nowhere to go. 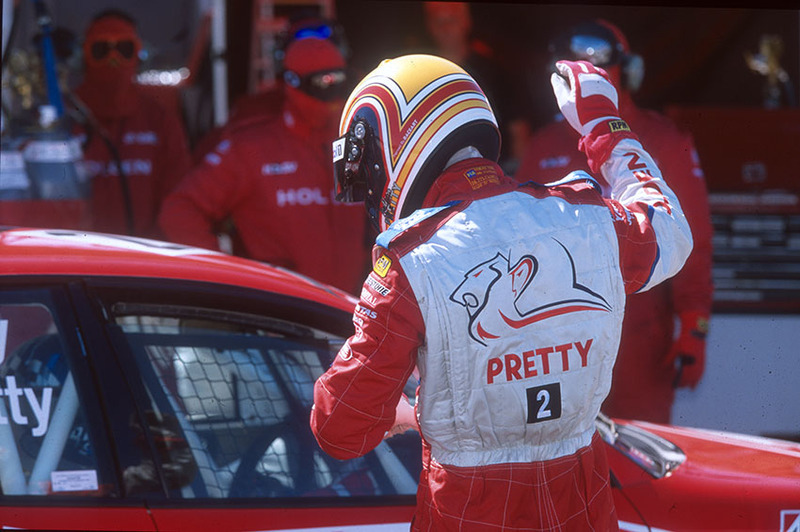 The stats sheet shows you had a best Supercars result of fourth at Bathurst in 2002 with Rick Kelly, above, and a fifth in 2000 with his brother Todd. What was the race that ‘got away’ in terms of your best chance for a win? 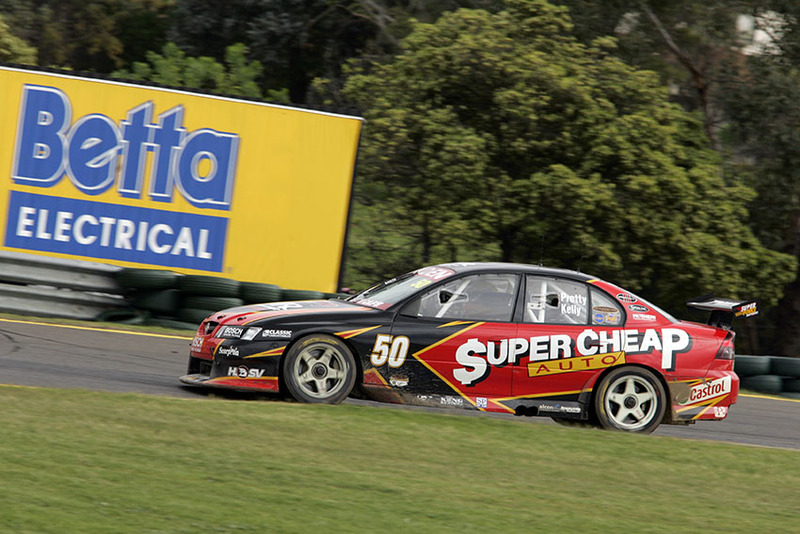 The 2007 Sandown 500 driving with Todd for HRT was my best chance to win a Supercar race. I got so dehydrated in the race, I couldn’t even remember how to get into the pits. I had the drink straw in my mouth but it was siphoning. Normally I would take a quick drink and then leave it for a while and have another drink, but it had siphoned all the way out and was empty when I needed it most in the back end of the stint. I parked crooked in the pits when I came in and was very disorientated. It’s unbelievable how easy it can get away from you when your mind isn’t playing the game it needs to be playing. Then I drove for LP in 2008, which was bizarre. In 2006 I raced against Jack [Perkins] and Shane [Price] in the DVS in the Smith’s Trucks car. It was a very underrated car. The chassis was unbelievable but we just had no real power. Anyway, I didn’t do myself any favours with LP in ’06 when I complained in the media about Jack and Shane doing days at the tracks in a deregistered ride car the week prior to each of the events. I had a call from LP giving me a huge pull-through over the phone and he gave me the spray of all sprays and I was very nervous about him from then on! Then in ’08 he rang up to ask me to drive for him. I had nothing on the table so I was all about repairing the relationship. I think he had forgotten and we never brought the topic up again!